Mid-century modern homes were once futuristic, the “homes of tomorrow”. Built after World War II, they incorporated the abundant and relatively inexpensive materials no longer needed for the war effort in features like aluminum windows and steel cabinets. High-tech kitchen gadgets such as built-in rotisseries featured prominently as Americans focused on leisure and entertaining after years of austerity. Today these homes are historic, but their design and aesthetics are as popular as ever: the clean lines, light-filled spaces and embrace of modern materials like plastic whether for countertops or chairs. Indow has long been a proponent of mid-century modern homes. 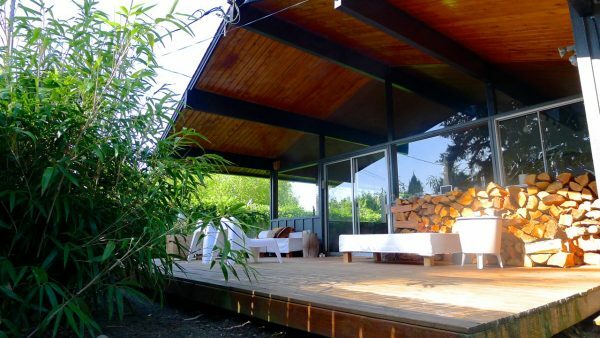 In 2016, Indow sponsored the event “The Mid-Century House: A Vision of Tomorrow” as part of Restore Oregon’s Mid-Century Modern House of Tomorrow Tour. Windows and light are often a focal point of mid-century modern homes and Indow is dedicated to preserving original windows, which are often central to a home’s character. And we’ve got a thing for mid-century modern dwellings. 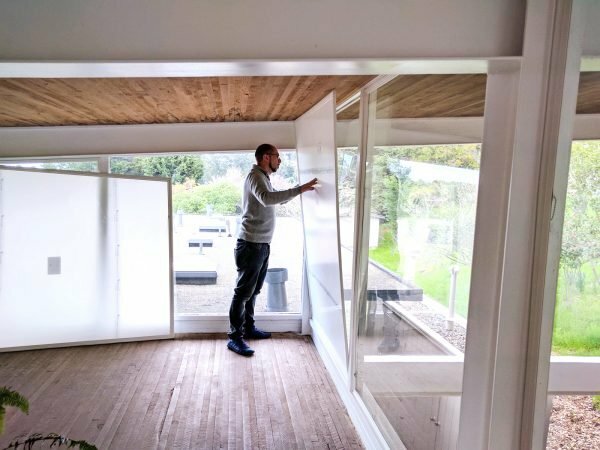 Maybe in part because one helped us find Indow’s creative director, Michael Hofler, who was looking to make his mid-century modern windows more energy efficient. 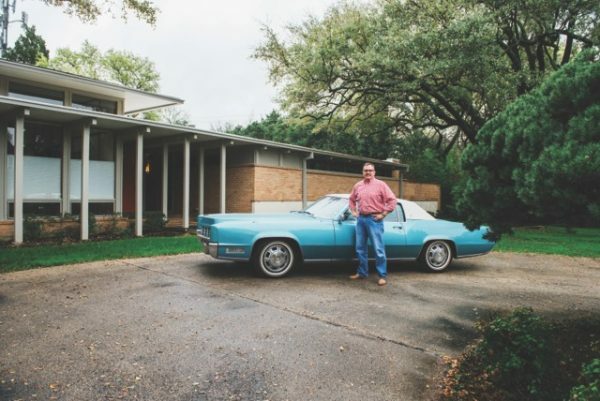 Another preservation project made us particularly happy: Greg Nieberding and his partner, Eddie Ortega, had bought a 1959 mid-century modern in Dallas, Texas after others made offers to tear it down – even though it was so cool the previous owners had entertained Frank Sinatra and Doris Day there! Greg and Eddie saw the carrara marble, the red oak molding that makes the walls look like Japanese shoji screens and large windows and knew it was special. During their full-scale restoration, they used Indow inserts to eliminate condensation in the clerestory mid-century modern windows in the bedroom. Mid-century modern homes in temperate climates often don’t have storms and as they age, the owners wonder what to do about the windows, which often have aluminium frames. Indow inserts are an ideal solution for making those windows energy efficient while preserving their original character. Cord and Alonso are another couple who installed Indow inserts in their mid-century home: Case Study House #26, of the Case Study Homes commissioned by Arts & Architecture Magazine starting in 1945. Finally, we’ve come across some great resources if you’re interested in mid-century modern homes. One is this list of mid-century modern do’s and don’ts by the nonprofit Chicago Bauhaus and Beyond for those who just bought a mid-century modern. The basic message: live in the house before you change anything so that you can learn to appreciate all the details. Also, you might be interested in the magazines Atomic Ranch and Retro Renovation, both of which Greg and Eddie like to consult. retrorenovation.com is an excellent and fun resource!